Aerial Bird's Eye Top View of Dragon Bridge to the Island. 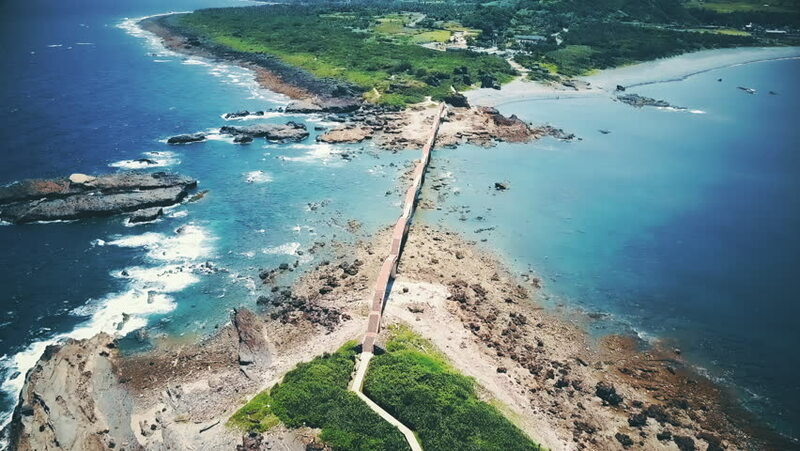 East Coast National Scenic Area in Taiwan. Sanxiantai (Sansiantai). Most famous landmark on the East Coast. hd00:16Aerial view of Bantry Bay near Cape Town as seen from Lion's Head within the Table Mountain National Park in South Africa, Western Cape. vertical panorama. 4k00:07Philippines, El nido , Palawan island , aerial view of boats in lagoon.